Sometimes there is nothing more comforting than a simple jasmine green tea. 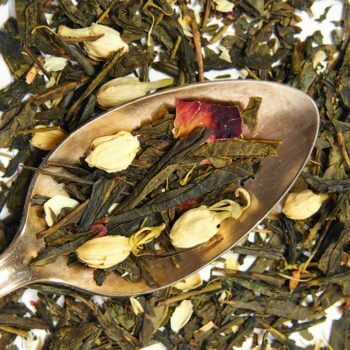 We call our jasmine green tea the Hope Blend because that’s the feeling it exudes – soft, sweet, and encouraging. 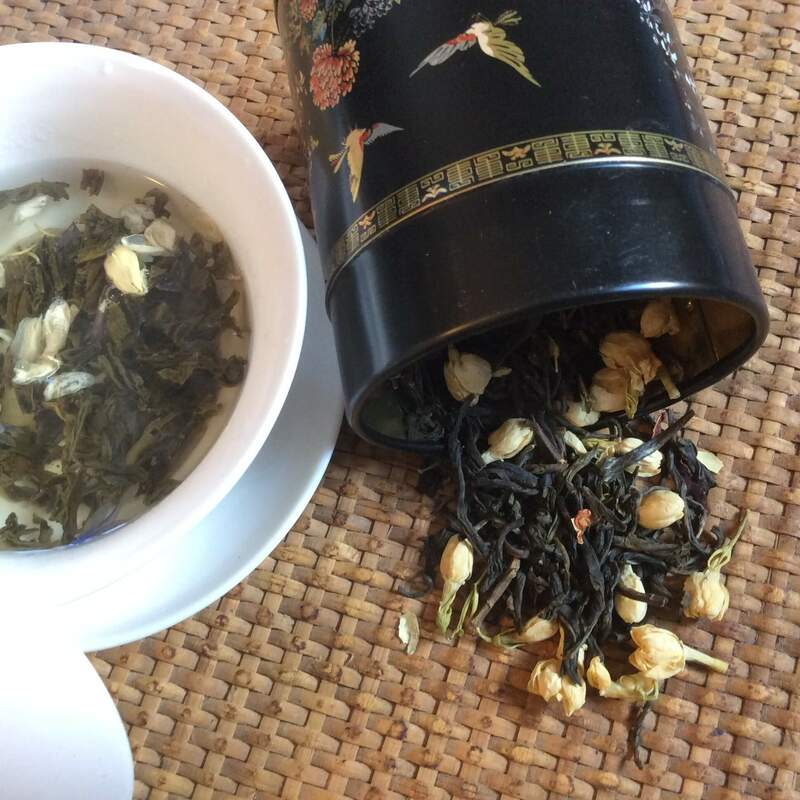 A base of Chinese green tea is lightly dried with fresh jasmine flowers; we add some extra jasmine buds and a pop of cornflower color. It’s quite simple and yet invitingly complex all at once. Keep your steep low and quick for the best flavor, and try multiple steeps for more tea out of the same leaves. And you can make a cold brew from this blend for a refreshing iced tea as well. This particular blend is perfect. The green tea flavor is just the right compliment for the jasmine. 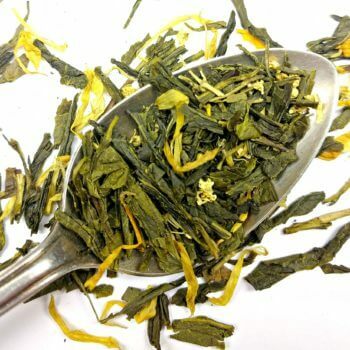 Even with sweetener the green tea and jasmine retain their unique signatures. Thank you for this blend, it has become a favorite. 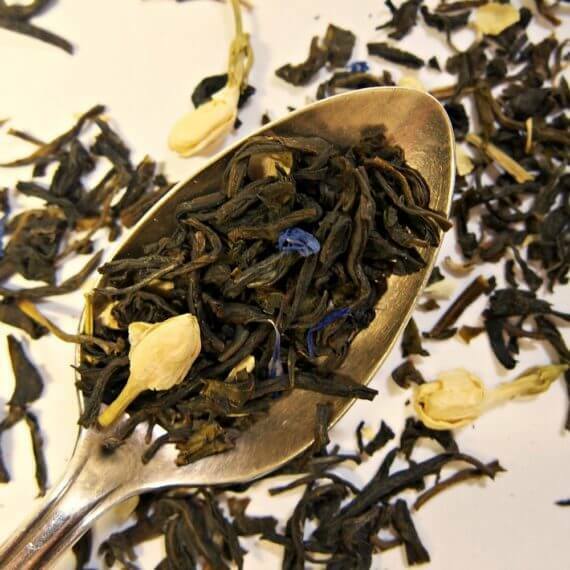 Ingredients: Green Tea, Jasmine Buds, Blue Cornflower, Love, Gratitude. Has caffeine. Preparation: Steep 1 tsp in 8oz below-boiling water (180F) for 2-4 min. We strongly recommend avoiding oversteeping this blend for the most flavorful experience.